The Italy Police Department would like to ask Italy residents to remember fallen police officers killed in the line of duty and the Italy Police Officers, who risk their lives everyday, during National Police Week—May 13th-19th, 2012. The police department will soon be distributing C.O.P.S. (Concerns of Police Survivors) blue ribbons throughout the community to display on car antennas to show support of our local police department.The police department also asks businesses and residents to display signs supporting our officers during that week. 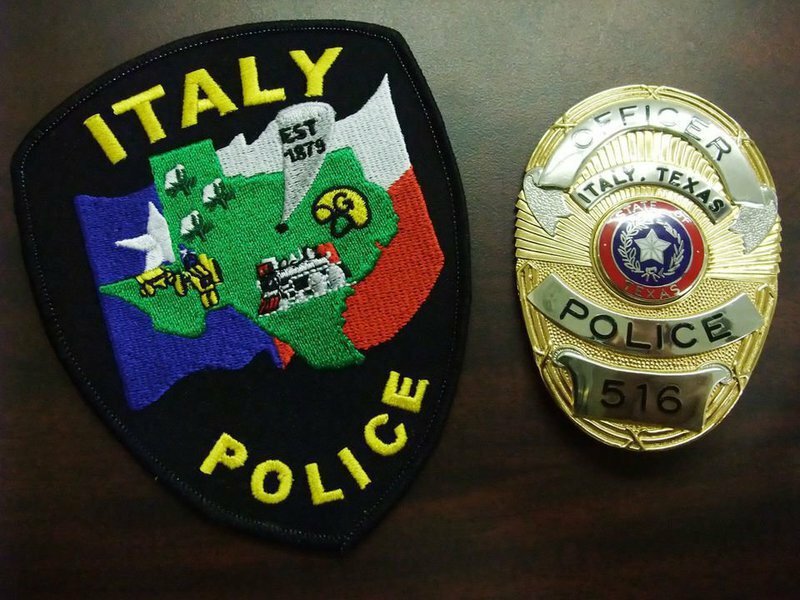 Remember to thank an officer for their sacrifices they make to keep Italy a safe community. Little did anyone know back in October, 1962, that it would take 20 years for any police group to actually celebrate National Peace Officers’ Memorial Week. In August, 1981, newly-elected National Secretary of the Fraternal Order of Police (FOP) Auxiliary, Suzie Sawyer, made a motion at the FOP Auxiliary National Post-Conference Board Meeting to sponsor a National Peace Officers’ Memorial Day Service. After much discussion about the activity being too much for this small organization to handle, newly-elected National President Trudy Chapman “vacated her position” as President and talked to the group about the need for the Auxiliary to have a national project to support the law enforcement profession. After a vote of the National Auxiliary Board at that meeting, the first National Peace Officers’ Memorial Day Service was held in Washington, DC, on May 15, 1982, on Capitol Hill in the small, beautiful “Senate Park”. Only 125 people attended, but the activity proved to be promising. Then FOP National President Leo Marchetti vowed the FOP’s support in increasing attendance at that activity. On the eve of the second National Peace Officers’ Memorial Day Service on May 14, 1983, much to the surprise of police officers and Auxiliary members who planned to attend, ten young widows came to Washington, DC, to attend that Memorial Day Service. Once the survivors began meeting with police officers, emotions started to flow. The women from the Auxiliary were asked to serve as hostesses for these survivors and the women all left the host hotel to find a nice, quiet place where everyone could talk. So on May 14, 1984, the first National Police Survivors’ Seminar was held. The luncheon was sponsored by the Fraternal Order of Police. At that seminar the survivors felt such a tremendous closeness that they voted unanimously to organize their own national, peer- support organization. Concerns of Police Survivors, Inc. was born on that day. Later that year in October of 1984, President Ronald Reagan signed into law the legislation that allowed the National Law Enforcement Officers Memorial Fund to begin raising money for an appropriate monument in Washington, DC, honoring the fallen law enforcement officers of America. That effort was spearheaded by Congressman Mario Biaggi, a Democrat from New York who was the most highly-decorated police officer in the history of the New York Police Department. Senator Claiborn Pell was also offered an honorary position on that board since he was instrumental in seeing that legislation passed through the U.S. Senate. In 1989, the first annual Candlelight Vigil was held at the site of the soon-to-be constructed National Law Enforcement Officers Memorial in Judiciary Square in Washington, DC. In October, 1991, the National Law Enforcement Officers Memorial was dedicated by President George Bush. Today that Memorial Wall carries the names of over 16,000 law enforcement officers killed in the line of duty.While police agencies may have celebrated National Police Week on the local level years ago, today there is a new heightened awareness of National Police Week. Concerns of Police Survivors, Inc. distributes a half million blue ribbons for law enforcement agencies to tie to their car antennas to call national attention to this day; the U.S. Congress has passed legislation that allows the U.S. flag to be flown at half staff on May 15; numerous police organizations hold memorial services locally, regionally, and on a statewide level during that week; police departments may have open houses, SWAT team demonstrations, etc. to promote National Police Week.